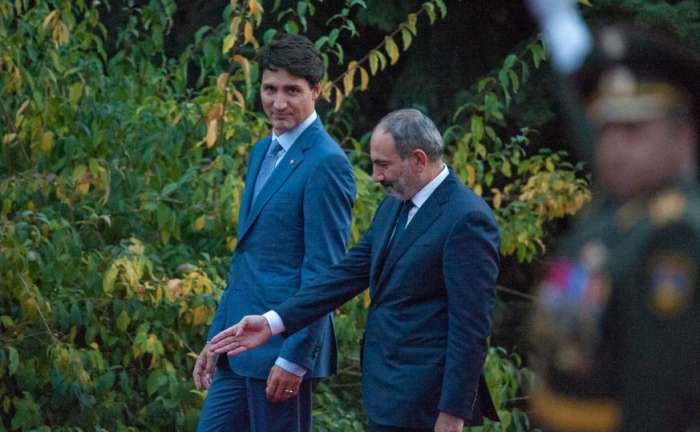 “We hope that the Nagorno-Karabakh conflict will be settled peacefully", the Canadian PM Justin Trudeau said at a joint news conference with Armenian Prime Minister Nikol Pashinyan. "It is essential to continue the negotiations process to regulate the Nagorno-Karabakh conflict. The OSCE Minsk Group co-chairs should continue to broker the negotiation process and achieve the peaceful solution considering the interests of the people living in this region", Trudeau stated.